Want to take Windows with you, but don’t want to lug a laptop around? Thanks to flash technology, you don’t have to. USB and HDMI devices can run Windows, and they’ll fit snugly in your pocket when you’re done working. Here’s how you can take Windows with you wherever you go. Why Go Portable With Windows? Perhaps you’re heading on a trip somewhere and need a computer with you. Your laptop is too big; you have other luggage, and don’t want to pay for the extra weight. Or maybe you have to give a presentation in a secure building and don’t have time for the bag checks. Whatever the reason, taking Windows with you is still an option. As long as you have access to a display, a keyboard and mouse, you’ll be able to stay productive wherever you are. Windows 10 has several portability options available, which we’re going to look at below. While none of these is a complete replacement for your desktop or laptop, they’re ideal for use in cybercafes, for hot-desking, or even in libraries. First, it’s a good idea to look at what is available from Microsoft. 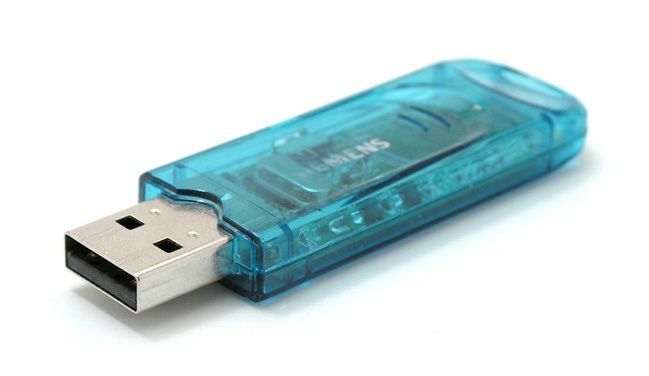 Windows to Go is a feature that enables you to write a copy of Windows to a USB stick. This can then be inserted into any computer and used as the primary boot device. The advantage of this is that Windows to Go will save your state, so any data you’re in the middle of working on will be retained. Unfortunately, Windows to Go only works on Windows 10 Enterprise and Windows 10 Education. If you’re running Windows 10 Home, or as most people are, or Windows 10 Pro, this won’t work for you. Carry Windows in your pocket with Windows To Go. We show you how you can run Windows from a USB drive, like a portable app. will help you install a portable version of Windows 10 on your USB flash stick. Backup utility software publisher EaseUs has provided an alternative to those users who want to use Windows to Go but cannot. EaseUs ToDo Backup is a general backup tool with added functionality for creating a bootable operating system on USB. You can create a full clone of your existing Windows installation if your USB device is big enough—and take it with you. EaseUs’ solution will work on any version of Windows 7, 8, and 10. You can find a free version of ToDo Backup on the EaseUs website, which can be used to create a portable Windows drive. Simply connect your drive to your computer and launch EaseUs ToDo Backup. Next, select System Clone, and select the destination disk (your USB device), ensuring it has enough storage. Click Advanced options, then check the box labeled Create a Portable Windows USB Drive. Click OK, then Proceed. Wait while the clone is created and written to your USB device. Safely remove the drive—it’s ready to run on another computer! If you use a Windows 10 Mobile device, are happy to swap, and don’t want to flash an operating system to a USB flash device, the Continuum feature is ideal. These wireless keyboard and mouse combos will help you work and/or play without having to deal with extra clutter on your desk. , and the phone to a wireless HDMI device. Microsoft has also produced dedicated docks for this. Once connected, your phone becomes a PC, with a standard Windows desktop, and access to all your apps and data. Better still, the phone still takes and receives calls! 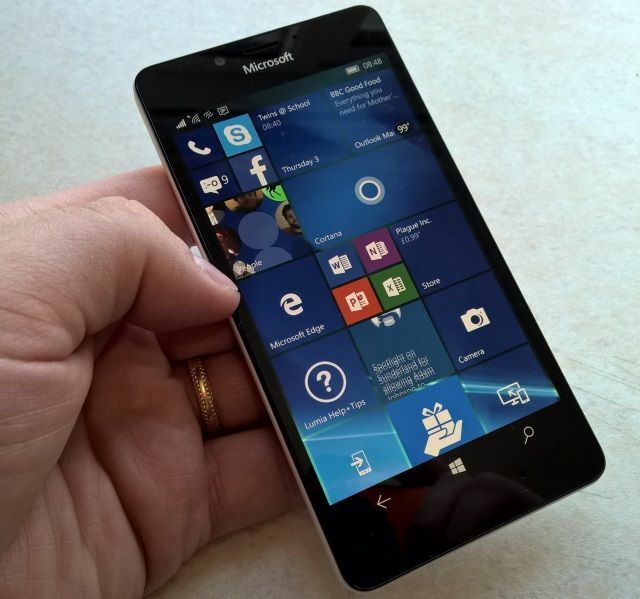 Only a handful of Windows 10 Mobile devices ship with Continuum. These include the HP Elite x3, and the Microsoft Lumia 950, which although a couple of years old, features an awesome camera. Rather than make your own portable PC on a stick, you can also buy one. Since 2015, Intel has been producing Compute sticks, small devices around the size of a Google Chromecast, or Amazon Fire TV Stick, but with a full version of Windows preinstalled. All you need to do is insert the device into your display’s HDMI port, and power it up. With a Bluetooth mouse and keyboard connected, you’ll be ready to start work. An Intel Compute stick comes with the same advantages of a USB device. It will store the data you create, ready to be accessed again later. Although compact, these little computers feature Atom or Core M series processors, with prices for all budgets. Intel aren’t the only producers of such devices, although they’re certainly the most notable. Interested? Check the pros and cons of the Intel Compute stick to help decide if this is your best option. Having a computer with you at all times is a great idea for productivity and convenience. But it isn’t always possible. With Windows 10 in your pocket, you have a great opportunity to just get started, and even pick up where you left off, without worrying about packing everything up when you’re done. To recap, here are the four ways to run portable versions of Windows 10. Like the Apple iPad, Microsoft have decided version numbers are irrelevant. The fifth iteration of the Surface Pro tablet computer is now just a “Surface Pro”.